EvO Altus Wins 2018 Red Dot Product Design Award! 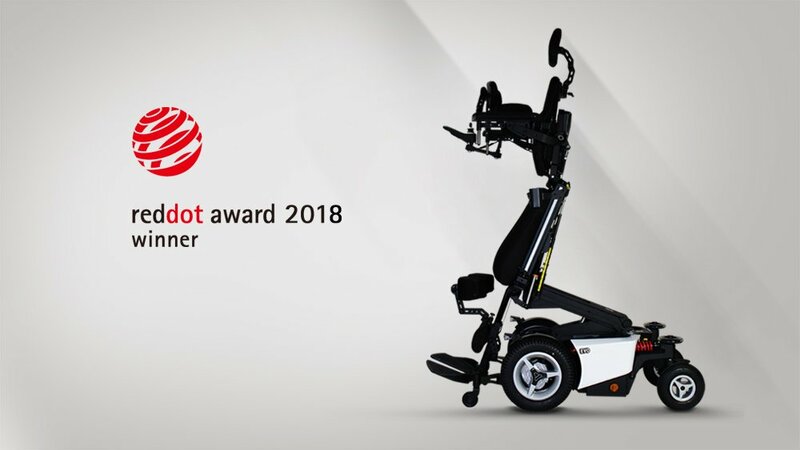 We are very proud to announce that EvO Altus, the newly designed power standing wheelchair has been awarded as one of the Red Dot winners of 2018 Red Dot Award – Product Design. Eric van Olst, the chief of product innovation & Kenny Chen, the CEO of Karma Medical. 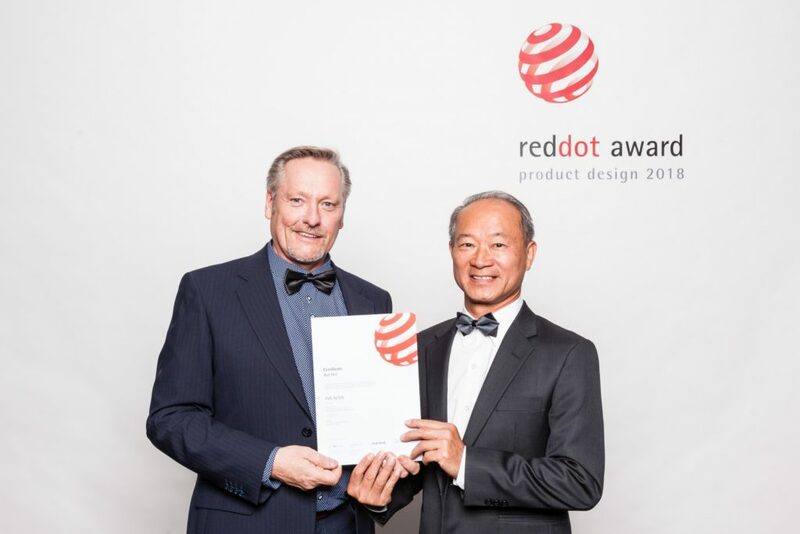 2018 Red Dot Award Ceremony on 9th.July 2018 at Essen, Germnay. This award is another great encouragement after the chair was awarded with the 2015 iF Design Award. It continues to drive us to help users with serious symptoms to have independent mobility. The growth of ageing population has directed the worldwide wheelchair industry to focus strongly on the elderly demand. However, there are still small groups of people who suffer from rare diseases. These patients have very little control over their body, just like the world renowned physicist Dr. Stephen Hawking. Therefore, they need very specific kind of assistive technology to help them to live up with their potential. This, is our motive to create EvO Altus. The R&D teams from Karma Taiwan & Karma Europe have been working for three years to develop this advance power wheelchair. 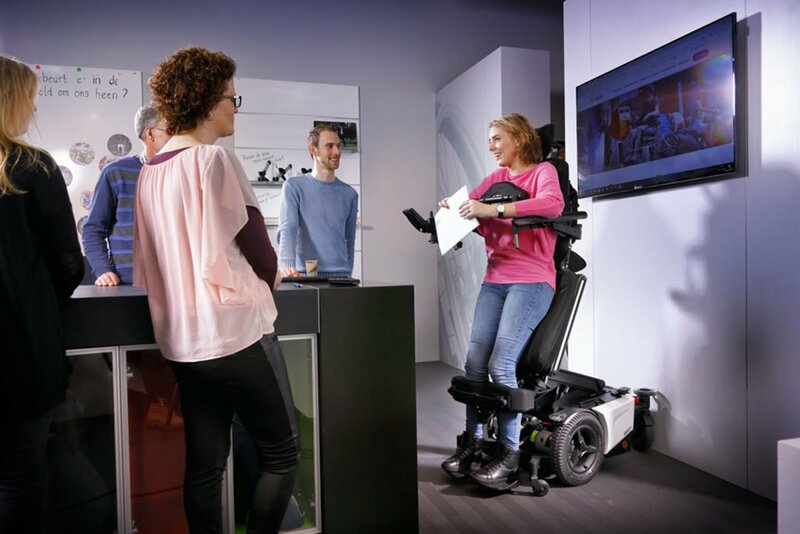 With the powerful EvO chassis suited with R-Net controls, the chair can operate electrical devices with infrared and Bluetooth, substantially expanding the user function on the chair. Furthermore, EvO Altus provides a wide range of weight shifting features, including lying, tilting, standing, and elevating. It allows users to have a tailored and customized experience. We’re looking forward to presenting EvO Altus to the market and show our ambition to enrich every physically challenged life.